forging and strengthening collaborations with others to build resilience in both their own buildings and their respective communities. 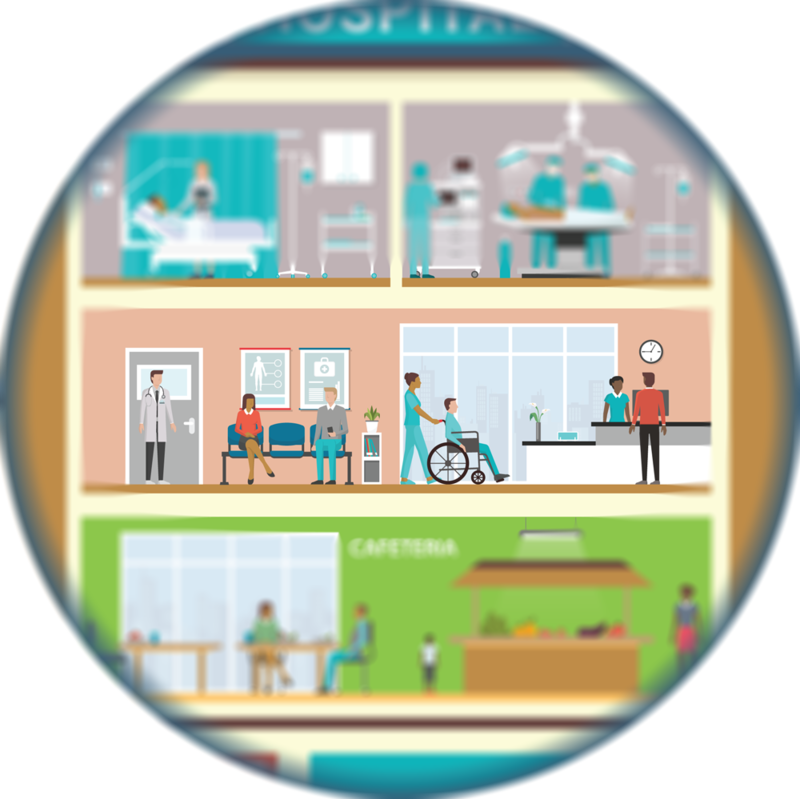 This playbook captures how hospitals are demonstrating commitment. 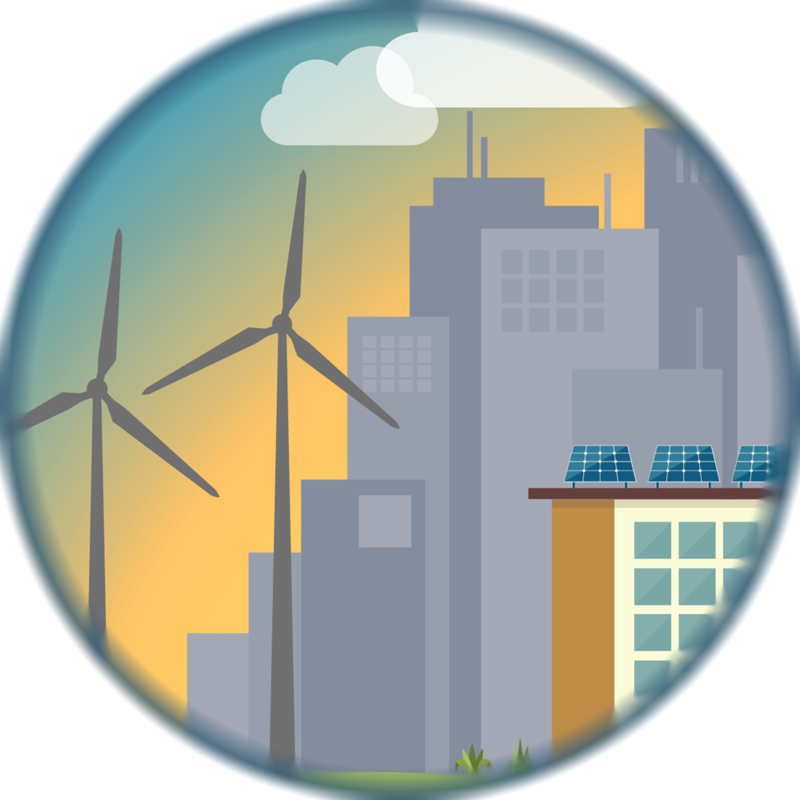 It's intended to inspire and encourage hospitals to engage further in climate action, providing a vivid path forward to achieving measurable progress and outcomes. The time has never been more critical for hospitals and healthcare to take action. For more information, please contact Lauren Koch. For resources relating to the playbook, go to this link. If Americans would eat beans instead of beef, the United States would immediately realize approximately 50 to 75 percent of its GHG reduction targets for the year 2020. Cutting global food waste by 50 percent by 2050 could reduce emissions by an estimated 4.5 gigatons. Agriculture is responsible for 24 percent of global greenhouse gas emissions. Gundersen Health implemented a cafeteria food waste minimization program. They were able to reduce pre-consumer food waste by 80 percent in 2015 from their 2010 baseline and saved an average of $30,000/year. University of Vermont Medical Center procures over 45 percent of its food locally and sustainably, including food grown on their rooftop garden. Food waste is composted offsite, and then some of that compost is purchased back for use in the gardens. UVM Medical Center utilizes a room-service model for patients which helps to reduce food waste. Hackensack UMC created a task force to completely transform its food program and align its work with their population health initiative. In a few short years, meat procurement has already decreased 4 percent, and is at 0.104 lbs/meal. Ascension cafeterias participated in Food Day in October 2016, promoting recipes featuring vegetables as the focus rather than meat. Chefs and Registered Dieticians at 37 Ascension hospitals collaborated to source creative vegetarian menu choices and included recipe cards, food samples and signage to communicate the benefits of incorporating local, sustainable produce into nutritious meals. A 30 percent cut in healthcare electricity’s carbon pollution by 2030 would reduce greenhouse gas emissions, preventing an estimated 4,130 premature deaths, 85,000 asthma attacks, 4 million respiratory symptom events and 3,750 hospital visit incidents and save about $1.2 billion in medical costs. Water is also a major contributor to greenhouse gas emissions from the energy consumed during distribution and treatment, plus the water used in energy extraction and generation itself. 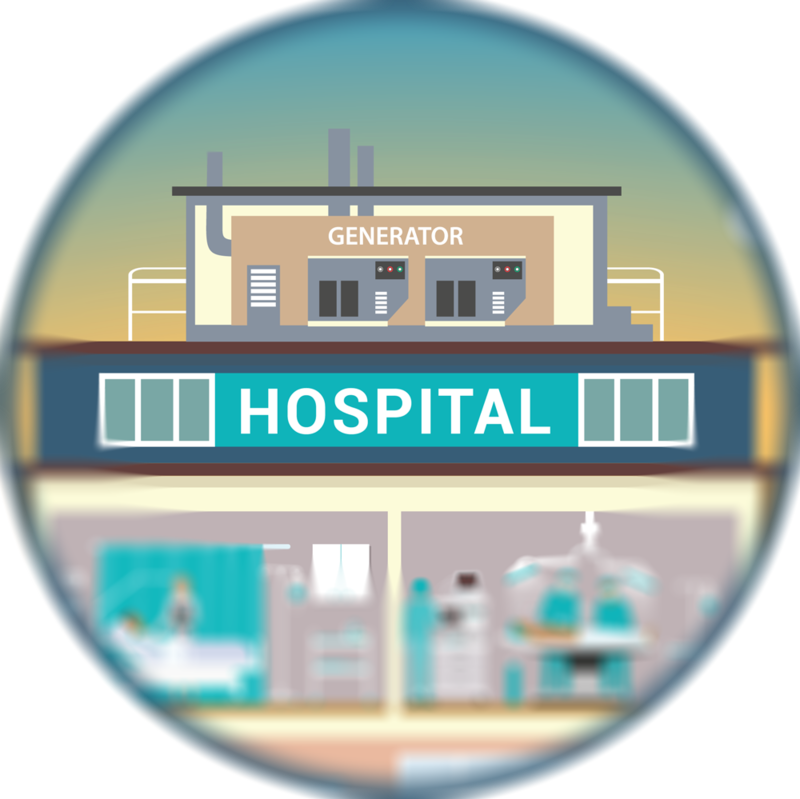 Gundersen Health achieved its first days of energy independence in October 2014 by implementing deep energy efficiency measures and then developing its own portfolio of renewable energy generation projects. Providence St. Joseph Health has set ambitious water reduction goals; Providence St. Peter Hospital achieved a 58 percent reduction in water consumption and overall savings of $2.5 million over 14 years. From 2008 to 2015, Advocate Health Care reduced its energy consumption by 23 percent per square foot (weather normalized), saving $23 million and avoiding the release of 203,000 metric tons of carbon dioxide, equivalent to the energy to power nearly 19,000 homes for a year. Ascension’s Environmental Stewardship Program has met the Better Buildings Challenge goal of 20 percent energy reduction by 2020 across its acute care hospital portfolio. From July 1, 2008 through December 31, 2016, Ascension has reduced energy usage by 21.4 percent, saved $53.3 million in cost avoidance and reduced over 1,114,600 tons carbon dioxide emission across 141 healthcare facilities over three years ahead of plan. It is estimated that the operating room in a hospital is responsible for 20 percent to 30 percent of its total waste and up to 60 percent of the facility’s regulated medical waste. Desflurane, a widely used anesthetic in the OR, has more than 2,000 times the global warming potential as carbon dioxide. 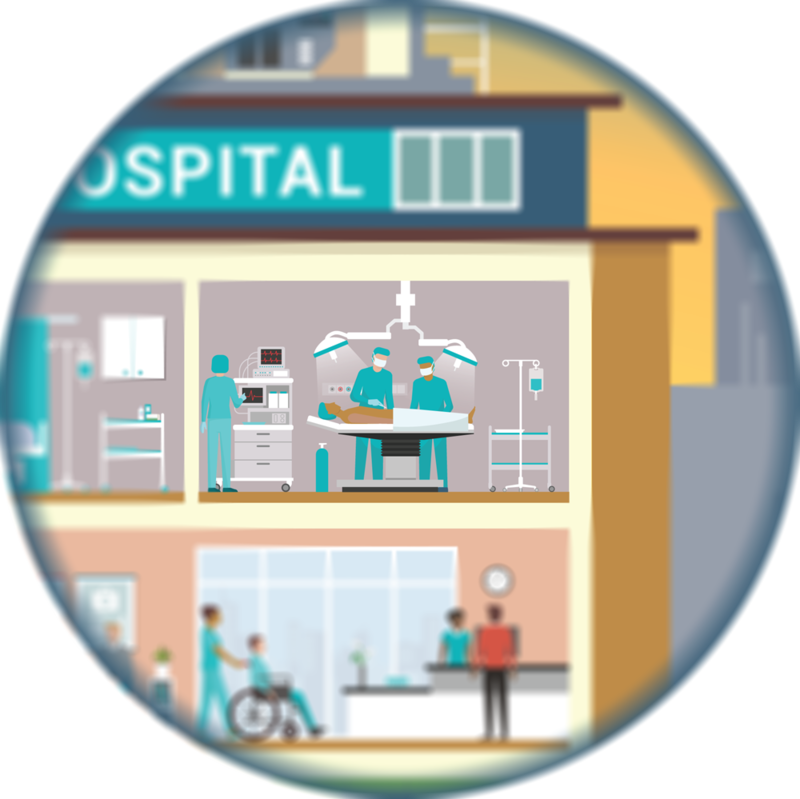 Given that ORs are often a third of a hospital’s expenses, the savings opportunities are vast; Practice Greenhealth award applicants reported nearly $42 million in aggregate cost savings and saved an average of $24,656 per operating room. By reducing air exchanges per hour for non-surgical periods, Cleveland Clinic saved two Gwh/year in energy output and $250,000 per year. Using a lean process called Rapid Process Improvement Workshop, Dartmouth Hitchcock Medical Center reduced their annual supply purchases by $858,759, removed 91,753 pounds of instruments from the processing cycle, which resulted in the net savings of almost $1.5 million. On the road to net-zero GHG emissions by 2020, Boston Medical Center has retrofitted to all LED surgical lighting in the ORs, utilized occupancy sensors to decrease energy usage, and removed desflurane as well as reduced the use of nitrous oxide. It is estimated that nearly 60 percent to 80 percent of a health systems’ greenhouse gas emissions are embedded in the products and services they buy — their upstream supply chain. A 2016 study by NHS identified the manufacture of medical instruments and pharmaceuticals as two of the largest areas for emissions in acute care settings. According to the Lancet, nurses and environmental services staff have the highest rate of occupational asthma, in part due to the chemical exposure at work. A series of studies identifies how climate change could impact the way hazardous chemicals like pesticides move through the environment, leading to greater exposure, as well as how climate change could weaken the ability of humans to tolerate these chemicals. Virginia Mason implemented a single-use device reprocessing program with its vendor, resulting in over $3 million in savings since 2012, as well as a reduction in waste disposal costs and the institution’s carbon footprint. By implementing a closed-loop shipping system, Intermountain Healthcare cut overall waste by 20 percent, had a significant reduction in labor costs and reduced its carbon footprint. University Hospitals has been working to increase the purchase of greener cleaners with lower VOCs, increase the purchase of alternatives to PVC and DEHP, and dramatically increase the purchase of furnishings without added chemicals of concern. UH purchased 66 percent of target furnishings in 2016 without chemicals of concern, thereby reducing the lifecycle impacts associated with the production of five hazardous chemicals. Together with other leading health systems and NGO partners, Dignity Health is a co-owner of Greenhealth Exchange, an environmental purchasing exchange and catalog for health care which aims to accelerate the development and adoption of new, more environmentally-friendly products. Landfilled waste produces methane, a potent greenhouse gas with 25 times the global warming potential of carbon dioxide over a hundred year period. Waste incinerators emit more carbon dioxide per megawatt-hour than any other fossil fuel-based power source, including coal-fired power plants, and have been linked to an increased risk of asthma in surrounding communities. Approximately 40 percent of U.S. greenhouse gas emissions are associated with the energy used to produce, process, transport and dispose of the food we eat and the goods we use. 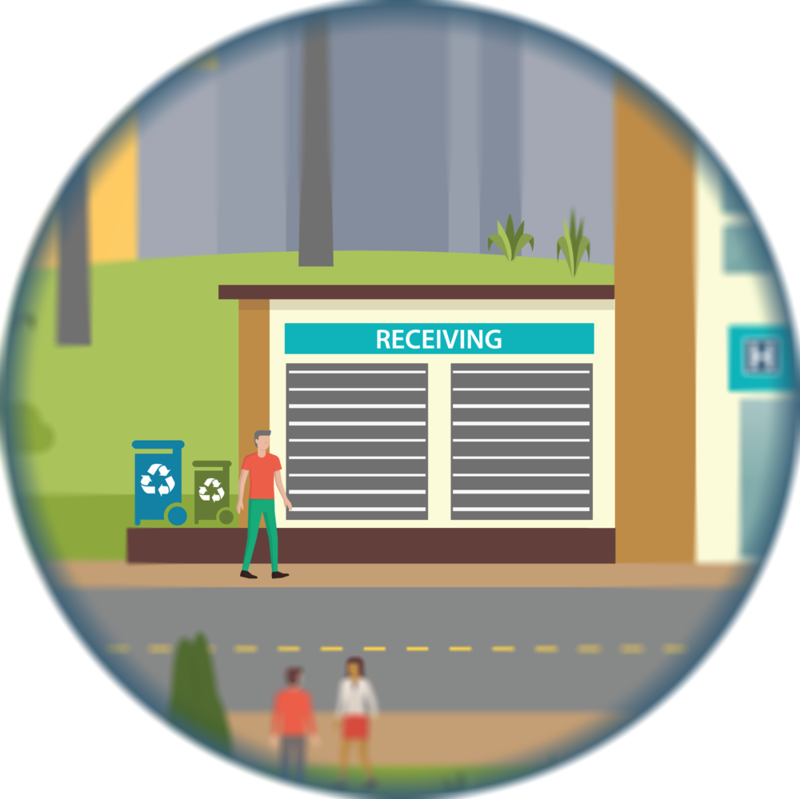 HealthPartners has implemented a comprehensive waste reduction program that has resulted in a 14 percent reduction in paper and indirect savings of $1.3 million. The program has diverted 166 tons of food from the trash to compost and recycled 1500 tons of materials in 2016, with 793,000 pounds diverted from the operating room, for a total savings of over $940,000. Inova implemented a red bag waste reduction program in 2009 that began as a pilot at the Inova Fairfax Medical Campus. The program was expanded across the health system, and in the first year alone, achieved a 14 percent reduction in red bag waste. This was equivalent to 1,000,000 pounds of waste reduced and $200,000 in annual savings from waste removal fees. The program continues today with a focus on stakeholder engagement and alignment with industry best management practices. Superstorm Sandy was the second-costliest hurricane in United States history, with an estimated $70 billion spent on recovery. The New York health care sector alone reported $3.1 billion in those recovery costs. In 2016, the U.S. had 15 weather-related disaster events (droughts, wildfires, inland floods, severe storms, and a tropical cyclone) totaling over $46 billion in direct costs, and leading to 138 fatalities. Partners HealthCare, Boston designed and constructed its Spaulding Rehabilitation Hospital facility to maintain uninterrupted operations through extreme weather events and to accommodate projected sea level rise. Thedacare in Wisconsin utilized the Health and Human Services Climate Resilience Toolkit to address climate change and preparedness. 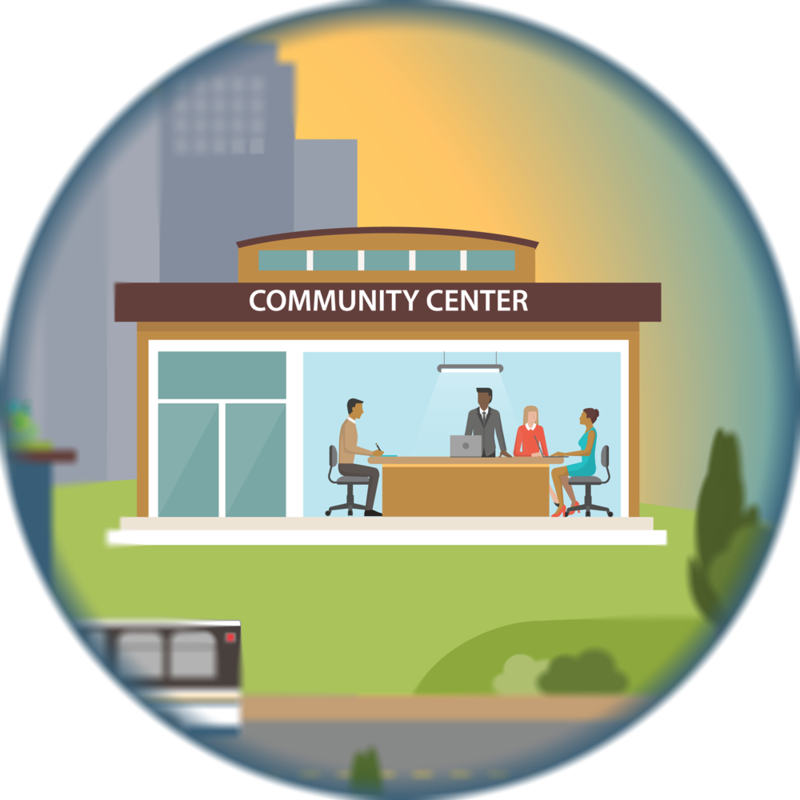 This included using a resiliency assessment as a way to engage clinicians and health systems leaders in speaking to community groups and businesses about the public health impacts of climate change. Currently, 97 percent of vehicles on the road today burn fossil fuel, and the number of vehicles worldwide is on pace to double by 2030. 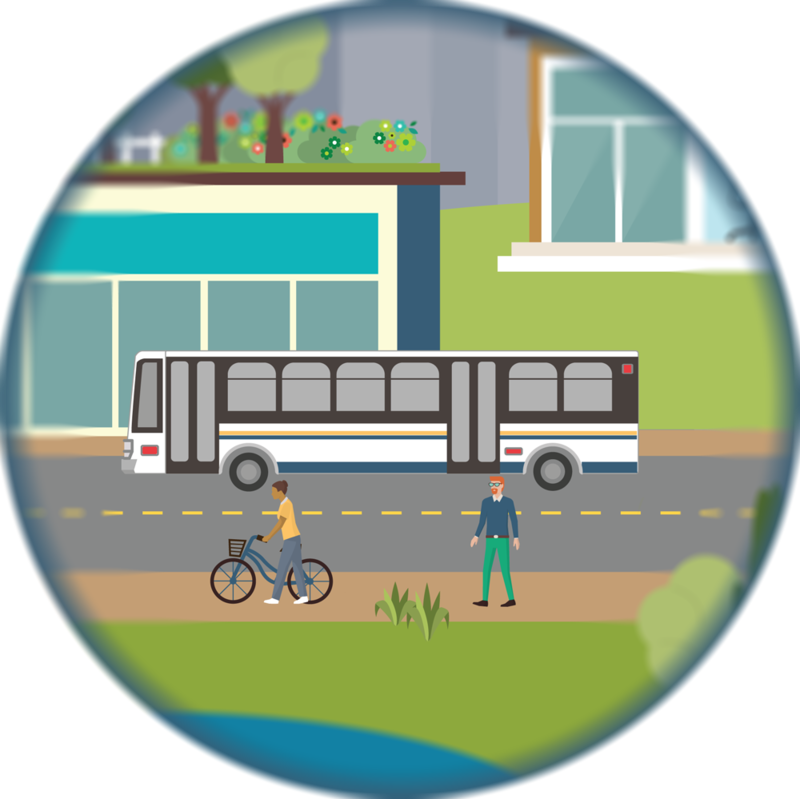 Transportation is the fastest growing source of greenhouse gas emissions. It comprises 26 percent of U.S. greenhouse gas emissions, second only to energy production at 30 percent. According to the World Health Organization, nine out of 10 people worldwide live in places where air pollution exceeds safe guidelines. This contributes to asthma and respiratory illness, heart disease and stroke, cancer, and traffic injuries. Seattle Children’s Hospital has been leading sustainable transportation efforts by reducing the drive alone commute trips made by their workforce from 73 percent in 1995 to 38 percent in 2015. They did this by: charging daily parking rates, offering generous subsidies and incentives to use lower-impact options, working with the city and county on bike, pedestrian and transit improvements, and providing personalized commute planning to every new employee. University Hospitals sponsored a city-wide, public bike-sharing program called UHBikes in Cleveland, Ohio. In less than a year, the program is credited with 7,500 trips taken on the bikes, totaling over 14,000 miles, 569,000 calories burned and six tons of carbon emissions avoided. Health organizations and clinicians have shown to be the most trusted messengers on climate change, according to research by Yale and George Mason universities. More and more, prospective employees are seeking job opportunities in organizations which reflect and align with their own values in regard to environmental stewardship. According to a 2011 survey by Pew Research Center, 80 percent of Millennials (born after 1980) want to work for companies who care about their environmental impact. Recognizing that thermal coal poses a significant threat to human health and the environment, Dignity Health revised its policy to restrict investments in coal and to identify new investment opportunities that mitigate climate change. Dignity Health also co-sponsored the Health & Climate Summit during COP21 and presented at various venues in Paris, including the Blue Zone at Le Bourget, in support of an ambitious climate agreement. Dignity Health’s advocacy leadership is also notable in California where they’ve helped pass landmark climate and energy legislation. Kaiser Permanente has publicly pledged to become carbon net positive by 2025, and its significant increase in renewable power purchasing is already helping its California facilities to receive nearly half of their electricity from renewable sources. Virginia Mason has worked with policymakers to better understand the connections between climate and health, both by supporting the price on carbon legislation in Washington state as well as by co-founding and chairing Washington Business for Climate Action. 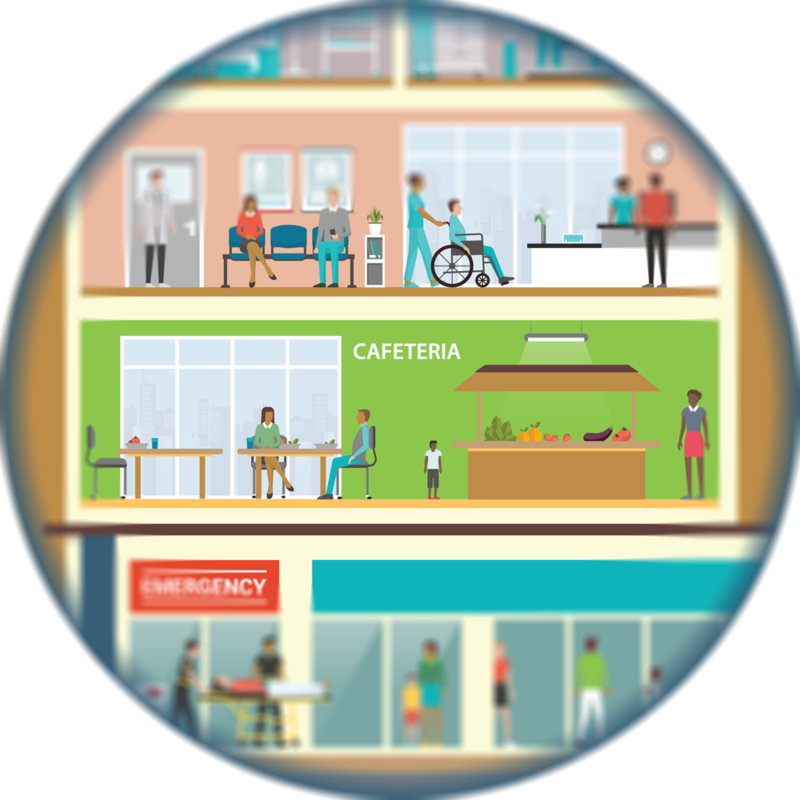 In an effort to educate patients and communities on the health impacts of climate change, Inova features climate and health language on their external website and a series of brochures that explain climate change impacts on vulnerable populations. Inova also educates clinicians by conducting Grand Rounds and targeted seminars to pass along important climate change information. advocating for local, state and national policies that ensure a sustainable and healthy future consistent with our collective vision for healthy individuals and communities. The 19 health systems of the HCCC represent nearly 500 hospitals, 32 states, $180 billion in revenue and nearly 1 million employees. For resources relating to the playbook, go to this link.